One of the biggest gripes we see on social media is how expensive Wargaming can be. In hindsight, there are many other ‘real life’ hobbies out there that are more expensive. However, this does not discount the fact that wargaming does take a chunk off your expenses. 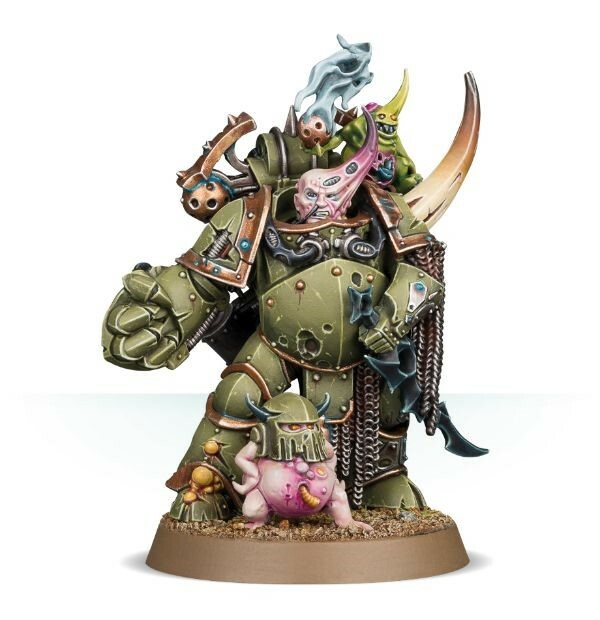 Buy a Sassy Nurgling for £15, get a free Plague Marine Champion! Fret not. Feeling not being able to buy more is a rite of passage! It is unlikely prices will go down (reality check: it will only go up). So besides the usual “save more” and “set a monthly budget” advice, here are 4 unconventional ways to help manage your expenses better. 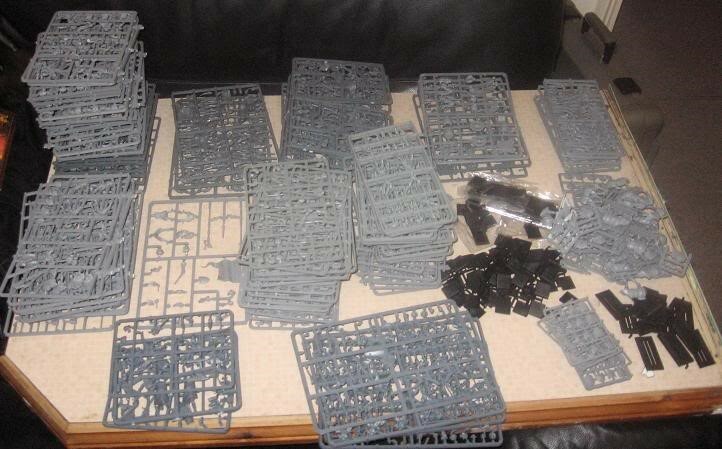 “I don’t have a painting backlog anymore!”, said no wargamer ever. Any wargamer who tells you they do not have a painting backlog is probably telling a lie. This suggestion will never work on your whole collection, so try setting small painting targets before your next purchase! e.g. let’s finish painting this tank before buying + assembling a new mini. If you follow this rule, minis bought during your current painting activity would be pointless as you won’t get any mileage from it anyway. If you are more of a collector, you won’t start painting it until you finish your current one. Money saved here could be better used elsewhere! Image Credit: Turn Signals on a Land Raider. Playtesting a new mini before buying allows you to gauge not only the unit’s strength, but also the feasibility of it to your playstyle. This lowers the risk of new releases not meeting your gameplay expectations. To playtest, you can always proxy the miniature in-game (with permission from your opponent of course) or use 3rd party programs like Vassal. After 2-3 games, one should be able to tell if expectations are met. A Classic resurrects from the dead. Skirmish games are a growing trend. Fewer miniatures with less time is required to play the game. All this translates to less spending footprint. It is no wonder why many gamers favour this system lately. 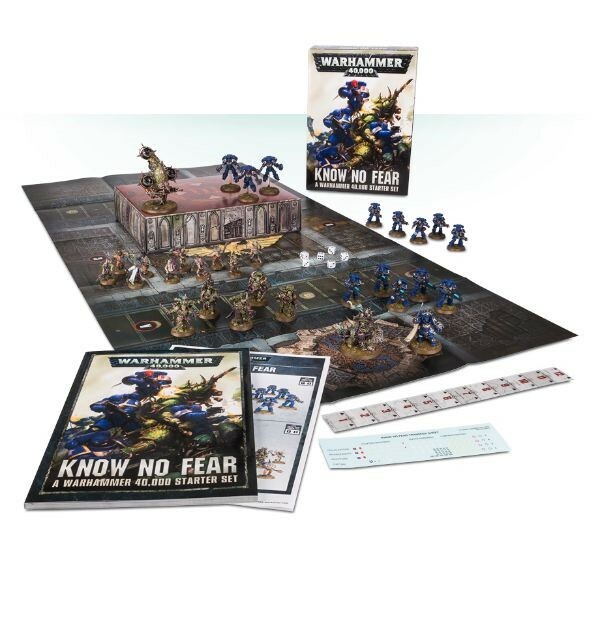 Some Skirmish games now include Necromunda, Warhammer Underworlds: Shadespire, Infinity, Malifaux, and the upcoming Age of Sigmar: Warcry. Better yet, some of these games from Games Workshop contain miniatures you can use in main games like Warhammer 40k and Age of Sigmar. But surely there are savings here? Don’t buy for the sake of buying. While box sets do offer savings, this is only true if you are after the whole lot. Most players are only interested in a portion of the box’s content (e.g. Primaris portion of Warhammer 40k's Dark Imperium set). If so, it is only worth buying if they are very sure they can sell off the unneeded stuff within that month itself. Parts held beyond the first month have a chance of its value depreciating or face a lower demand. If the portion required is cheaper individually at price point, consider buying it individually despite not getting more stuff. Ultimately, money saved here results in more spending power for daily needs, other hobbies or even the next codex/character you need in your army. Make sure you Sign Up at Tabletop Cashback today too so you save more money by getting cashback whenever you buy tabletop games online! This entry was posted on Monday, April 15th, 2019 at 09:08 and is filed under News. You can follow any responses to this entry through the RSS 2.0 feed. You can skip to the end and leave a response. Pinging is currently not allowed. Good article and another suggestion, (although it’s a bit of work) is to buy box sets and break them down to sell on. This is something I do and funnel the money back into my hobby without hitting the ‘real’ bank account. Obviously, you’ll need to save some of your profits for tax purposes and keep account of all your sales but it’s really saved me loads in the last year or so. Agreed. This is really the way to go with boxed sets but make sure you are VERY certain you have a buyer though. I know plenty of people thinking they would use the other half later or are confident that the other half would sell only to still be sitting on it a year later on. And another one: play smaller sizes. 3/6/15mm. While 28mm looks great the miniatures tend to be very expensive. A 15mm skirmish with 4-6 minis on each side won´t break your account. Very Games Workshop centric, halve your spending, buy non GW figures and Rules. Half and then some I would wager.